Deer and elk have unique nutritional needs at different times of the year, as a result there can be benefits to year-round supplemental feeding to help maintain optimal health. A successful supplemental feeding program is dependent upon on training deer to consume pellets from a feeder, something that does not come naturally to them. 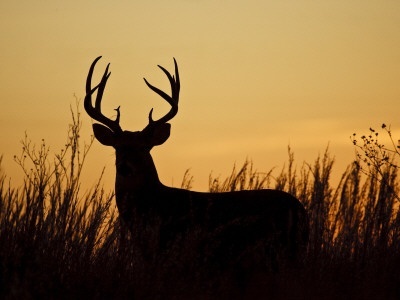 Note that corn is extremely low in the nutrients necessary to grow big antlers. In addition, corn can founder and may kill deer if too much is consumed at one time. However, when safely used in moderation, it is ideal for drawing deer to an area and training them to eat pellets. For additional information on training deer or nutrition programs for deer or elk, stop by J&N Feed and Seed. This entry was posted on Monday, September 19th, 2016 at 11:50 am	and is filed under News & Updates, Wildlife, Deer. You can follow any responses to this entry through the RSS 2.0 feed. Both comments and pings are currently closed.